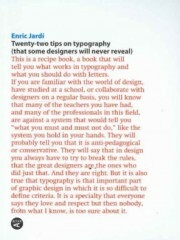 This is a recipe book of twenty-two tips in creating the best typography and twenty-two things you should never do with lettering. Secrets which many designers will never reveal. 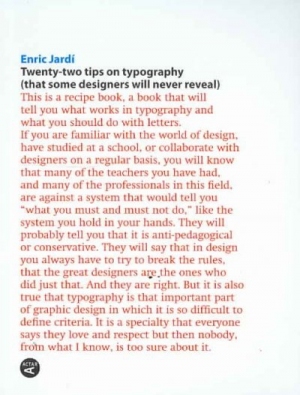 In an era of typographic fundamentalism and the cult of forms, this list of dos and don’ts explodes myths and provides a fresh view of typography. Size: 7.2 x 5.7 in.